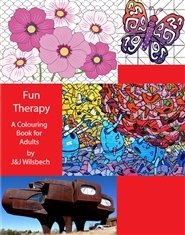 Colouring has been proven to relieve stress, calm the mind, and occupy the hands. It also stimulates the brain in areas related to motor skills and creativity. There are 30 pictures to colour and there is a blank page behind each picture to prevent bleed through. Once completed, you can frame them or give them away. The spiral binding will allow you to lay the book flat. However, since the pictures are abstract, feel free to rotate the book to make it easier to colour with either hand. Upgrade your colouring skills by taking on this next level challenge. 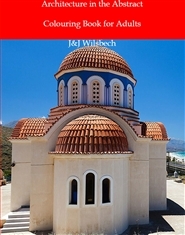 The book contains 30 different buildings of various sizes and types. 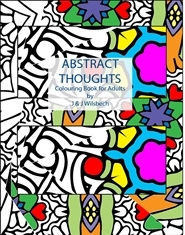 On the back cover are selected thumbnail pictures of the buildings used in the colouring book. The type of binding will allow you to turn the book and/or colour with either hand. Once the pictures are complete, you can share them or frame them. You cannot live in them, but you can build a dream board. Upgrade your colouring skills by taking on this next level challenge. If you are looking to reduce stress in your life, just pick up a colouring pencil and let Fun Therapy melt away your anxieties. Many studies have shown that colouring brings your mind into a relaxed state as you focus on choosing the next colour. This gives you a sense of peace and well-being. In this book, you will find a variety of different prints just waiting for you. Let your uniqueness guide your colour choice and personalize your picture. Find your inner calm in the 30 pictures available in this book. It is spiral bound so that you can lay it flat for colouring with either hand.